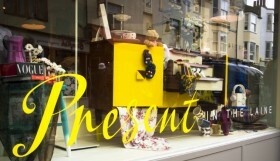 Brighton-based charity Handbags For Hospices is excited to announce the launch of their pop-up shop in House of Hoye (previously Jeremy Hoye) from 1st May. The charity, which last year raised over £15,000 to support UK based hospices, including The Martlets, St Catherine’s, St Wilfrid’s and Chestnut Tree House hospices, through handbag auctions, will be hosting their first pop-up-shop in House of Hoye on Ship Street. “We are so excited about this fundraising venture,” Abigail Bowen, founder of Handbags For Hospices says. “Our three month base in the new House of Hoye boutique will provide an ever-changing supply of beautiful bags, all sold to raise further funds for hospices. “Just some of the fabulous bags donated from celebrity supporters that will be on sale in our pop-up shop include arm-candy from Davina McCall, Elizabeth Hurley and Lottie Moss (model and sister of supermodel, Kate), with more to be revealed during the three month period.” Abigail continues. Over £1.4 million is spent each day on hospice care throughout the U.K, with only an average of 34% of this vital funding coming from the government. 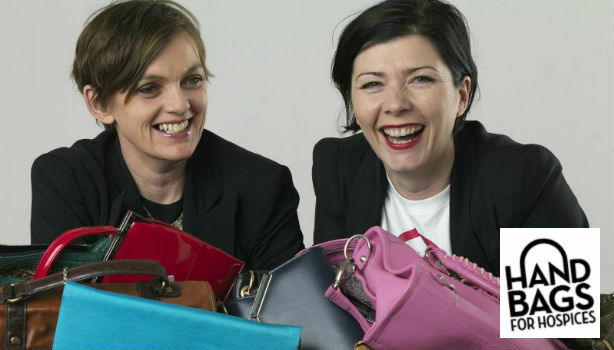 Handbags for Hospices was created by Sussex-based friends, Abigail Bowen and Lucy Wilkes who wanted to make fundraising for hospices memorable and fun!